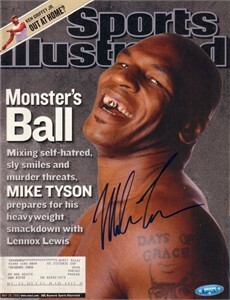 Complete 2002 Sports Illustrated autographed in blue marker by legendary heavyweight champion Mike Tyson. 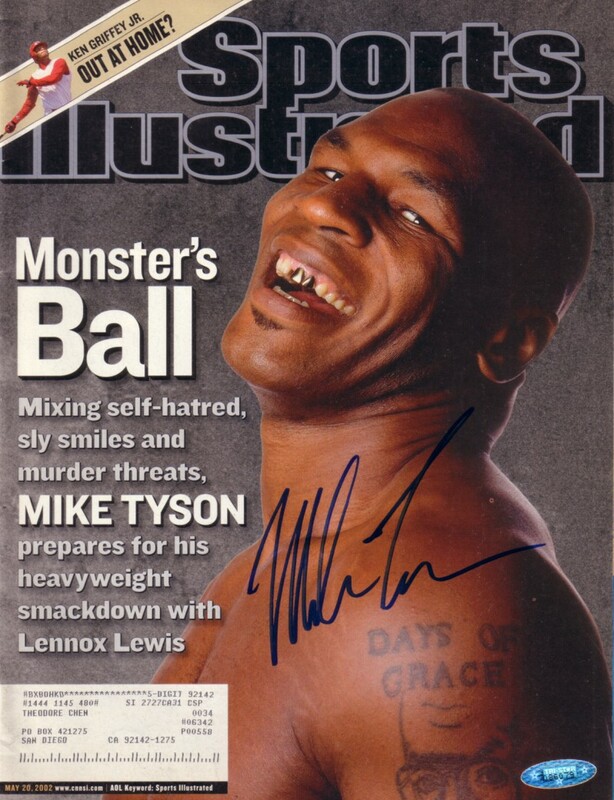 Authenticated by TriStar Productions, with their numbered hologram on the cover. With certificate of authenticity from AutographsForSale.com. Has very minor wear. ONLY ONE OF THIS ISSUE AVAILABLE FOR SALE.